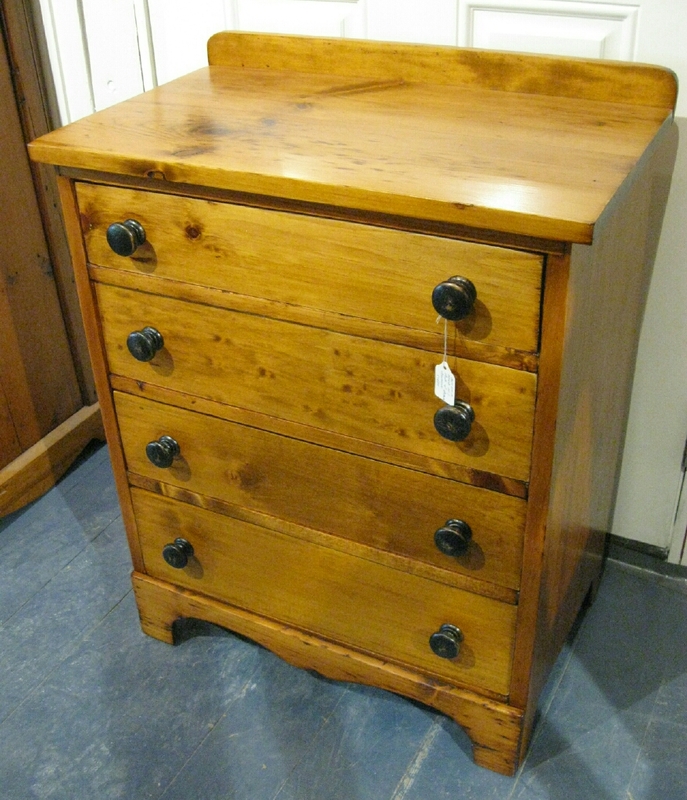 This petite pine chest of drawers would make a great night stand or end table. All pine found in South Western Ontario. Circa 1880.